PS: beginning last may 8, KK started hosting weekly classes for kids who want to become junior chocolate chefs. open to kids ages 7-10, the two-hour classes will cover the history of doughnuts and krispy kreme, a tour inside the famous krispy kreme kitchen, and a hands-on lesson on the basics of cake and doughnut decoration. 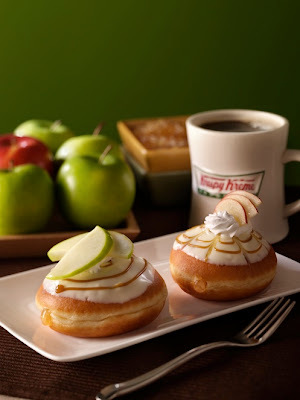 krispy kreme perks include apron, cap, a dozen krispy kreme chocolate doughnuts, exclusive krispy kreme icing recipes and ingredients, and a special krispy kreme junior chocolate chef certificate. all for only P499! visit krispy kreme in bonifacio high street on fridays for classes hosted by certified wilton cake decorating instructor, vicky veloso-barrera. to register, call 840-3694 or 812-6596 and look for wanda de guzman or email info@chocolatekarnival.com. for class schedules and availability, go to www.chocolatekarnival.com. where in the world is marc jacobs?